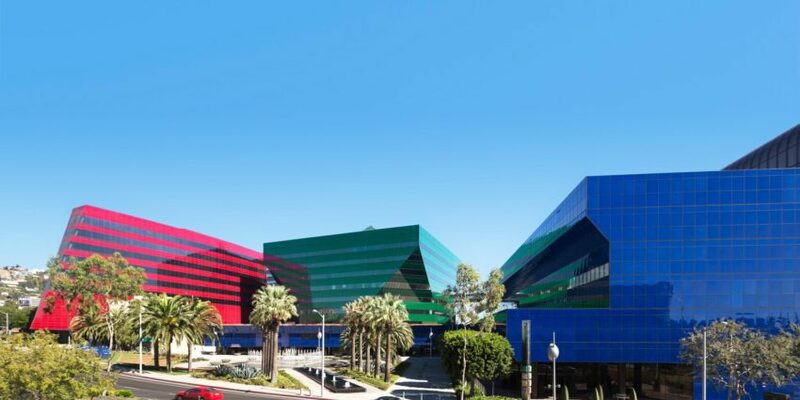 The construction of the Red Building completes a 40 year West Hollywood landmark that includes the 1975 Blue Building and 1988 Green Building. Keeping with the design of the first two buildings, the Red Building is covered in transparent and fritted glass that is held in its aluminum frames with silicon, creating the all glass appearance of the exterior. The building was built to USGBC LEED Silver standards and includes 400,000 square feet of Class A office space. Raymond was contracted by Jones & Jones to complete the wall and ceiling framing, drywall, taping/finishing, plaster, acoustical ceilings, and insulation on the $165 million Red Building. 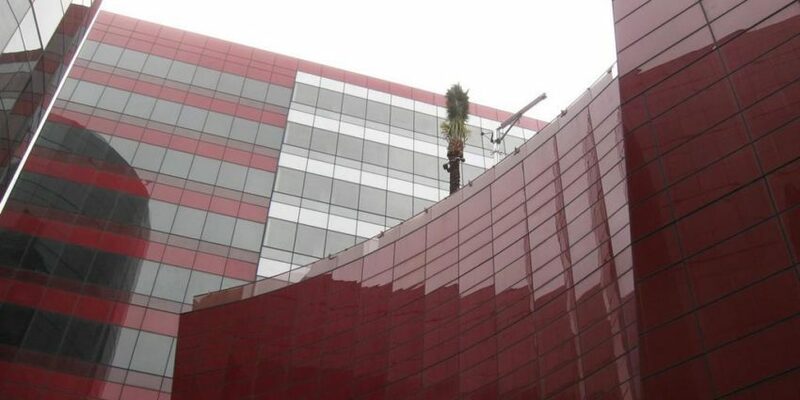 Red Building owner, Cohen Brothers Realty Corporation, was awarded the 2013 Q Award by the Alliance of Quality Construction for outstanding contributions toward the attainment of quality construction within the building industry of Southern California.